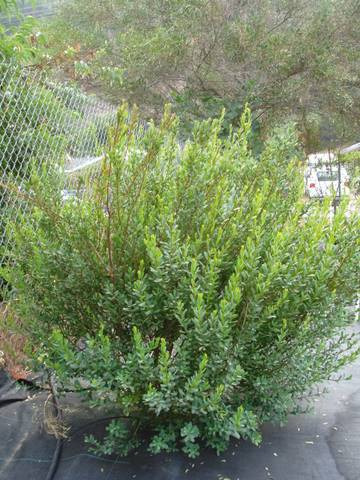 Handsome rounded shrub 6'x6' with grey leaves and large pea-shaped red flowers appearing in winter - spring. Plants prefer well-drained soils in full sun to partial shade and are hardy to frost (20-22F). 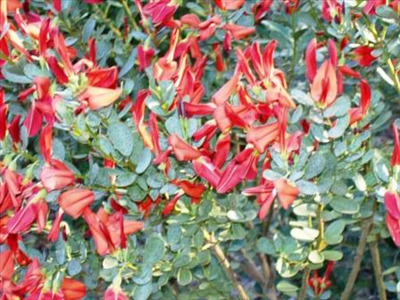 These showy shrubs are excellent for limestone areas. Pruning promotes compact growth habit. Resistant to salt spray.